As a middle school teacher, I often see my colleagues taking pains to keep students quiet during class. 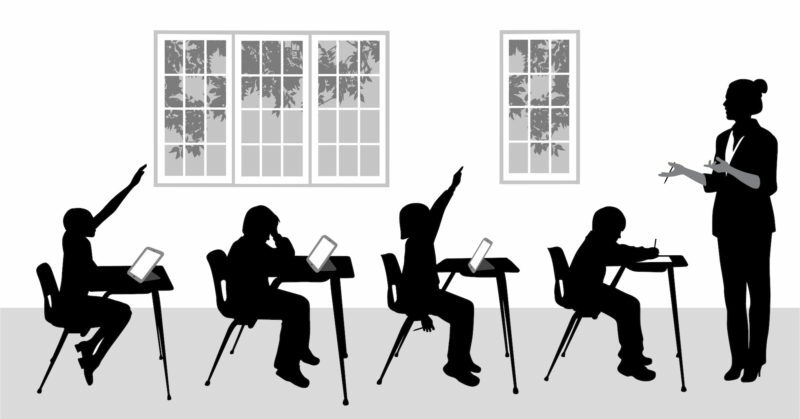 After all, the rhythm of the traditional classroom doesn’t leave much room for chatting among students, and socializing in class is often viewed as a proxy for poor behavior or inattentiveness. And yet, a recent study from the World Economic Forum suggests that our chattiest students may be well poised for tomorrow’s world of work — because employers are looking for more than simply the latest technical skills. Their most successful employees thrive on rich interpersonal and communication competencies. It’s an ironic twist: The very behaviors that educators often work to suppress in the classroom may be critical to students’ success in the workforce. How can classroom teachers balance their roles in preparing students to meet the interpersonal and leadership demands of the new economy with classroom management? Last summer, I spent 10 weeks working with hundreds of students from around the country on leadership and communication skills during a six-day program called the Junior National Young Leaders Conference in Washington, D.C.
Students were actively encouraged to socialize as a core part of the learning experience. Throughout each session, I watched as cohorts of students moved from apprehensive small talk to genuine friendship, toward demonstrating the sort of collaboration and teamwork that will serve them well into the future. 1. Create simulations that allow students to step into the shoes of a leader. Throughout the program, we created scenarios that allowed students to assume the role of a leader. During one exercise, following a trip to Washington, D.C.’s Newseum, students were assigned roles in a negotiation to avert a fictional nuclear catastrophe in Maine. Groups of students were assigned to role-play key stakeholders and advocate for solutions, while another group acted as members of the media, applying what they had learned from the Newseum’s exhibit on fake news to seed discord. Each group had to use targeted persuasive skills to convince their peers of the merits of their case. I watched as students became fully invested in the scenario and accessed leadership potential they previously had not known existed. In fact, the simulation was such a success that I brought it back to my home classroom this school year. 2. Build interdependency. Nothing bonds group members like realizing they have shared interests. We put our students on teams and asked them to work together to win group competitions. During debates and simulations, for example, students learned to rely on one another. A student with a particular knack for public speaking might be dependent on a peer with deeper subject-matter expertise to fill in her own knowledge gaps. Instead of seeking only individual victories — as their traditional classrooms at home had primed them to do — they learned to build up and celebrate the strengths of their peers. As a result, each session produced a group of friends who often said they had built closer connections to their peers over the course of six days than they had been able to build over the course of three years at their middle schools. 3. Help all students identify their unique value to the group. During the program, we constantly discussed our cultures and how our educational and social experiences varied by background, region and interest. This meant that each student had the chance to share a unique perspective with his or her peers. One of my southern students, for example, taught the group about the racially discriminatory zoning efforts that her community is fighting. Students from other areas of the country were shocked by her stories, and gained much-needed perspective on the lives of students outside their own communities. The camaraderie that students established throughout the summer was key to this kind of learning. At the beginning of the program, we asked each student to define “leadership.” The answers were fairly similar: the ability to command a group and tell people what to do. After a week of intensive bonding had melted away students’ social anxiety, we asked again. The answers were different. A leader, they now said, is someone who can work well with others. A leader is confident and has the ability to spark confidence in others. And a leader can communicate, using interpersonal skills to understand and learn from those she is leading. These are skills that our students now have in spades. This story on classroom management was produced by The Hechinger Report, a nonprofit, independent news organization focused on inequality and innovation in education. Sign up for our newsletter. 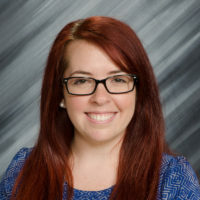 Carma Hobgood teaches Language Arts to students in grades 6-8 at Nativity of Mary School in Missouri, and was a facilitator at the 2018 Junior National Young Leaders Conference in Washington, D.C.